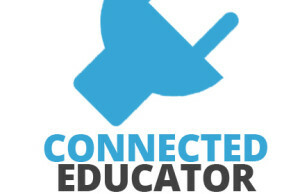 Today #whatisschool was all about connected learning in celebration of Connected Educators Month! Unfortunately I couldn’t make all of today’s session and neither could Laura. We are both out and about at conferences. I am currently in Manila and the wifi connection is less than ideal. A HUGE thank you to Brett and Mark for jumping in and leading the way today. It was the first time both Laura and I let go of it all but what a huge success it has been. THANK YOU, THANK YOU, THANK YOU!!! As usual, the #whatisschool PLN didn’t disappoint with a trend setting display of inspirational tweets and discussion threads based around the 6 weekly questions. #whatisschool continues to grow and it is an absolute honour to have created this space and to see the development within it. Thank you for being a part of it and please continue to share and engage your PLN as well. It is great to see new people coming along every week and actively participating in what is quickly becoming one of the most engaging chats on the twitter calendar. Here is the archive of our chat via @storify – https://storify.com/MRsalakas/whatisschool-connected-educator-edition – Please share and make sure you join the conversation next week.